A tourist bus driver suffered from a ‘near-death experience’ after having a cigarette from a passenger in Sanya, reports hinews.cn. On Dec 11th, Mr. Wang smoked a cigarette from one of his passengers. Horrifyingly, his scalp began to go numb and then his whole body went numb. He was totally frightened by that feeling. He tried to wake himself up by biting his lip forcibly and even used his key to stab his belly, but all in vain. He couldn’t feel any pain. “I felt that I was a dead person. I kept asking people whether they could see me. I was a total madman that night.” said Mr. Wang as he still feels terrified. 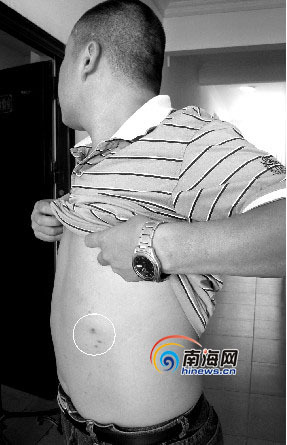 Mr. Wang has reported the case to Sanya police and had a blood test in the hospital in a bid to find out the cause of the incident. Mr. Wang suspected there was a drug or some special chemicals inside the cigarette that he smoked. At present, the investigation into the case is ongoing and the blood test result will come out on Dec 15th.